Ulverstone is a town on the northern coast of Tasmania, Australia on the mouth of the Leven River, on Bass Strait. It is on the Bass Highway, 21km west of Devonport and 12km east of Penguin.At the most recent 2016 Census, Ulverstone had an estimated urban population of 6,985 being one of the largest towns in Tasmania. The town is a part of the municipality of the Central Coast Council which also includes Penguin, Turners Beach, Leith, Gawler and surrounds, and Forth.HistoryThe town area was first settled by Europeans in 1848, when Andrew Risby, his wife Louisa and their five young children arrived to settle and develop farmland from what was mostly a thickly forested wilderness.Andrew & Louisa arrived in Adelaide, South Australia in 1839 as a newly married couple from their ancestral town of Horsley, Gloucestershire in England. The first of their 5 children were born in Adelaide. 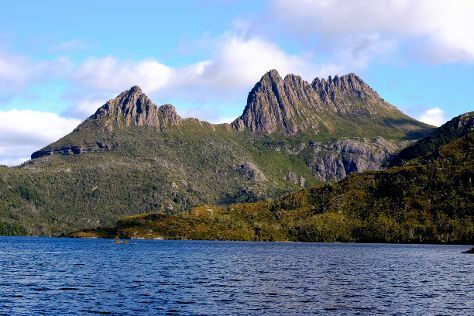 Soon after the birth of their 2nd child they moved to Tasmania. In 1841 they arrived at the Forth River where a young 19-year-old James Fenton had pioneered just prior to their arrival. After clearing land and subsistence farming for a few years, they were evicted from their "patch" after a land dispute with a wealthy speculator and moved westward. The district was, at that time, known as 'the Leven' and recognised as a good source of quality timber with a similar climate to England. When their 5th child, Andrew Risby jnr. was just 2 years old the Risby family moved and settled on a patch of land known as The Rises, at the south-eastern perimeter of the present day Ulverstone town boundary where they farmed for many years. Descendants of this pioneering family still live in the district. Ulverstone is in Tasmania. Make the most of your holiday in Ulverstone by finding out about its attractions and choosing what to see using our Australia tour itinerary maker site .